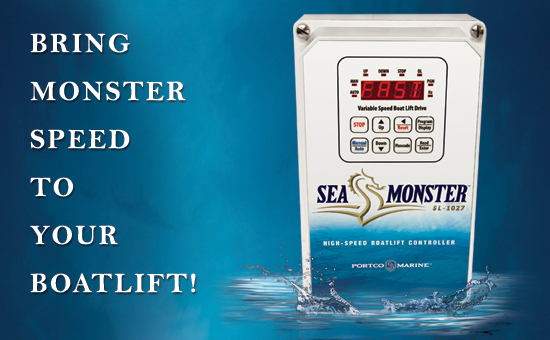 Remote control, up to 200 t.
Get out on the water up to twice as fast with a SeaMonster 1024-SL or 1027-SL boatlift controller. 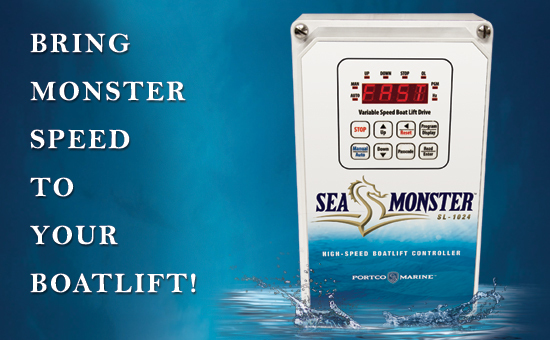 This revolutionary new technology makes your new or existing boatlift system much faster, smoother and easier to control and customize. 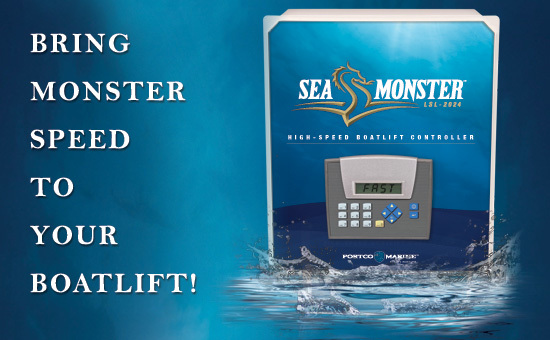 The SeaMonster controller represents such a quantum leap in boatlift systems, It’ll make you wonder what everybody else is waiting for.